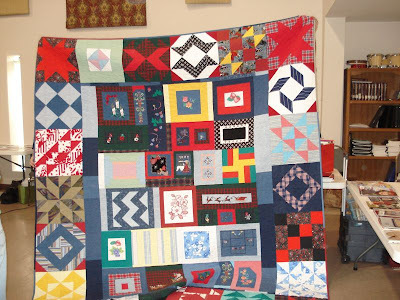 Calamity Jane's Cottage: National Quilt Day-What a Fun Day!!! 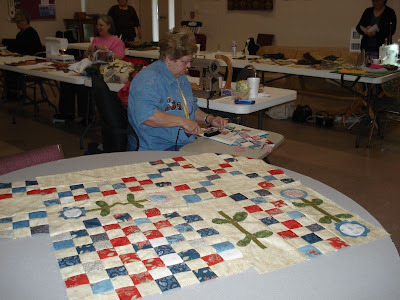 National Quilt Day-What a Fun Day!!! 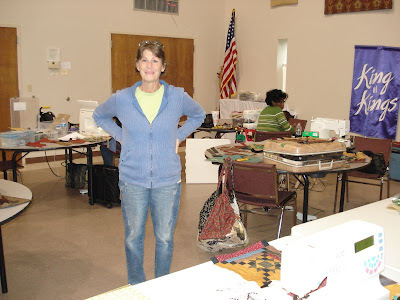 This post is going to be picture heavy, it starts with our guild meeting on Thursday and then I took a class with our guest speaker Cheri Saffiote-Payne. 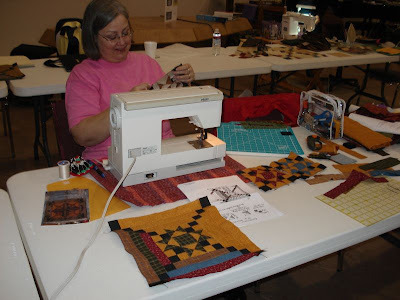 Her website is http://www.quiltsbycheri.com/index.html and if you haven't visited or seen her patterns, she has the special primitive look and teaches you to be free when quilting. Love this style. 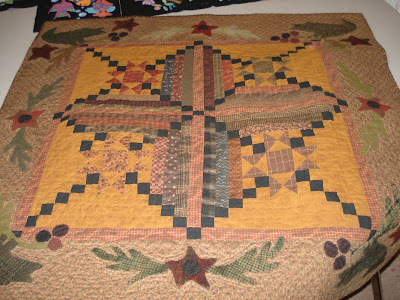 The above quilt "Blackbird Song" is the class I took on Saturday. 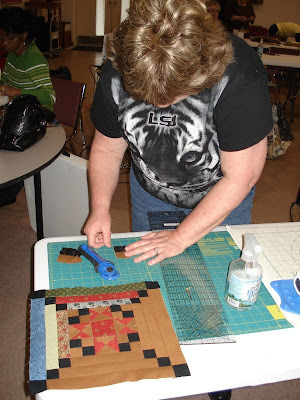 Cheri at our class on Saturday. 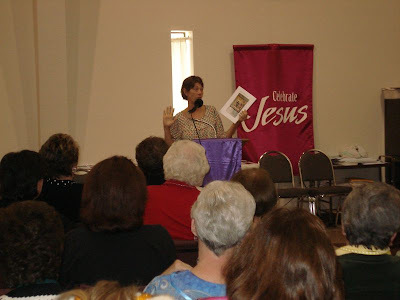 These are pictures of some of our show and tell and Cheri speaking at our guild meeting, she is a hoot. 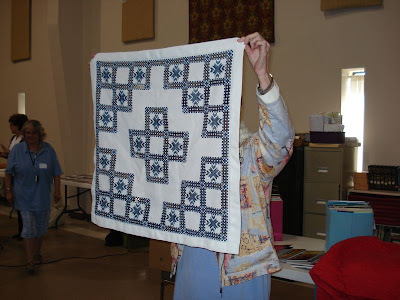 All of my pictures didn't turn out and I missed some great quilts. 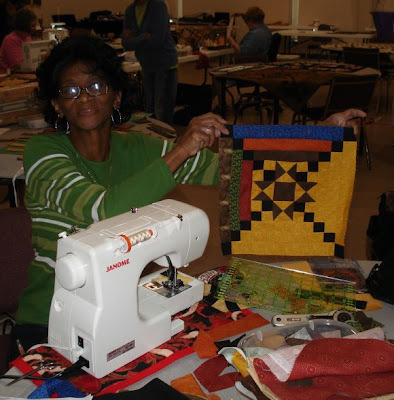 What a great way to spend National Quilt Day, I hope you all had fun on your day! And it looks just as wonderful as I think it would have been..:o) Lucky you!! A great way to spend the day. Lucky you! 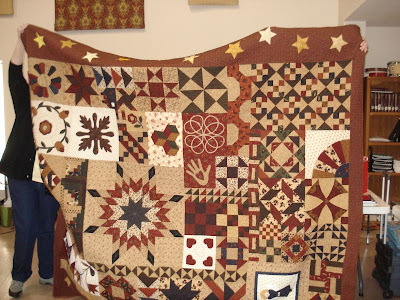 I love her quilts...not sure I've seen her work before! I'll be sure and check out her website...thanks! 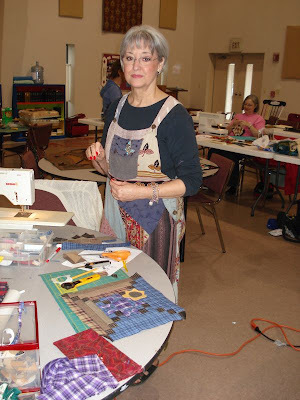 Wow...looks like a fun and fantastic day was had by so many talented quilters! Lucky you!! Wow.looks like a fun and fantastic day. 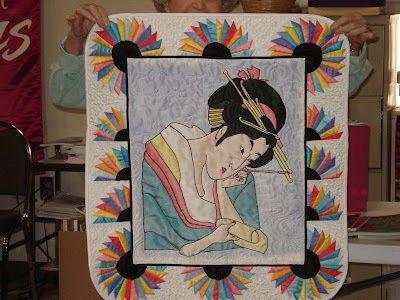 What a great tribute to National Quilt Day. Loved them all.. 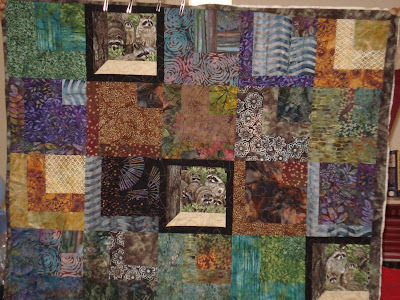 The block you made from Cheri's class is so colorful! What a fun class! 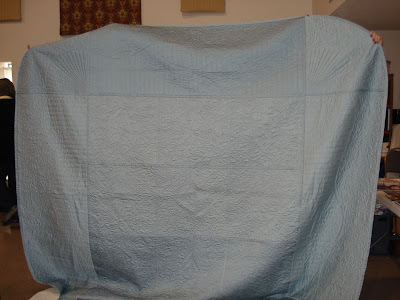 Looks like you had a great National Quilt Day. 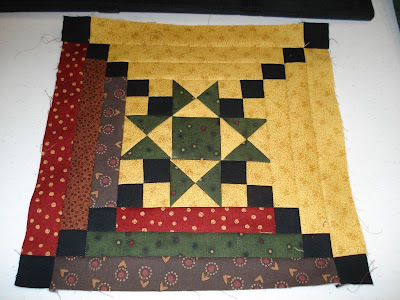 I haven't posted my block yet. Working on the finishes now. I just showed some of the ladies blocks. Oh my gosh Bonnie. So much fun here. 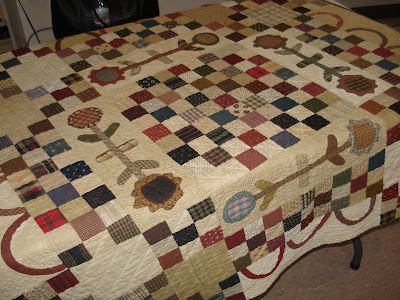 Love all the quilts with so many different fabrics and textures. 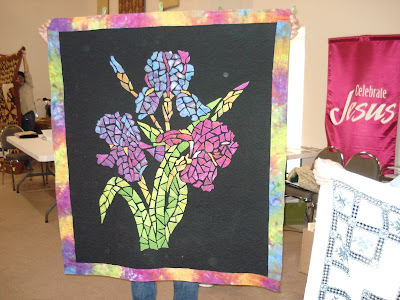 Love when I get together with the gals to sew like this. What a great group of talented ladies! Scrappy, Making something from almost nothing!!! Oh my, it's been a week!